In Autumn 2018 UHArts showcased the University’s art collection in an exhibition in the Art & Design Gallery. 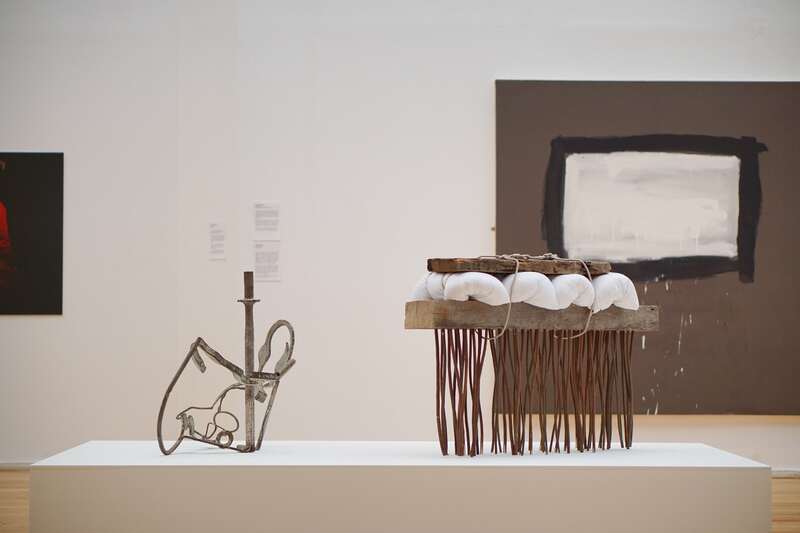 Comprising over 500 artworks, The University of Hertfordshire Art Collection is wonderfully eclectic – featuring impressive external sculptures and a portfolio of paintings, prints, drawings, photographs, ceramics and mixed-media works. The UH Art Collection is dispersed in publicly accessible sites across the College Lane and de Havilland Campuses, as well as Bio Park and Fielder Centre. It seeks to enhance the university environment by introducing modern and contemporary art in places where people study, work and visit. 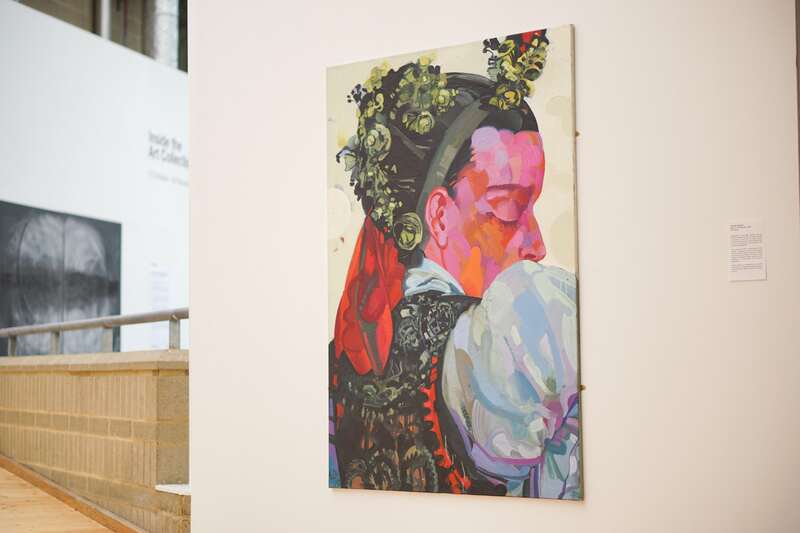 The Art Collection plays an essential role in student experience and contributes to the wellbeing of all on campus, while also connecting with the local community. One of the Collection’s founding principles is to integrate artworks into the public spaces that our students, staff and visitors inhabit –encouraging people to slow down and connect with art. Inside the Art Collection featured highlights from the Collection, some of which were on display for the first time since their acquisition. 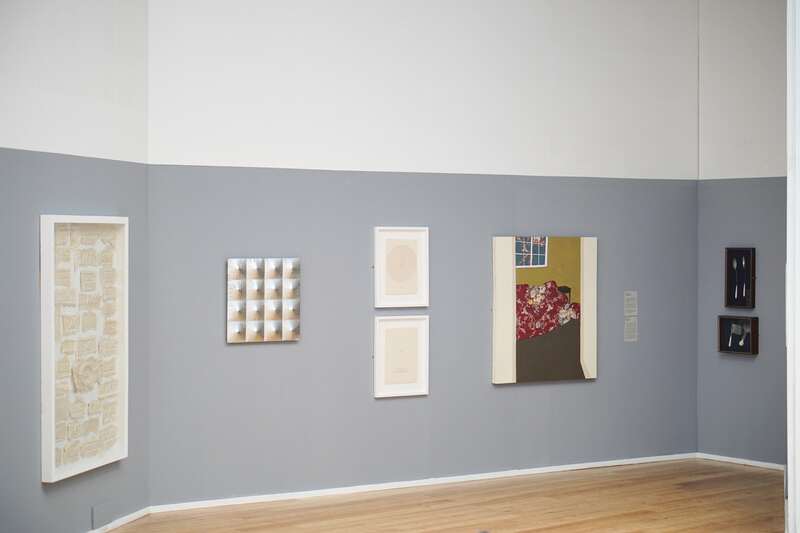 It showcased a variety of approaches to art-making and provided a new perspective for viewing the works in a gallery setting, and an opportunity to share personal thoughts and reflections on the Collection.